This is one of those posts that wasn't intended for the blog, but turned into one quickly after whipping everything together. First up, I received a mess (that means a lot) of mustard greens in our Farm Table delivery box last week. I love mustard greens and wanted to share this quick recipe in case you are out and about at your markets this weekend (like you should be) and happen to pick up some mustard greens! They have the perfect hint of mustardy spiciness and tossing in some spinach and jalapeño makes this a versatile side, lunch or even breakfast. Place mustard greens and spinach in boiling salted water until blanched. Remove to an ice water bath to stop the cooking process. Place all remaining ingredients, except for the tomato sauce in a food processor and pulse several times to get a rough chop. 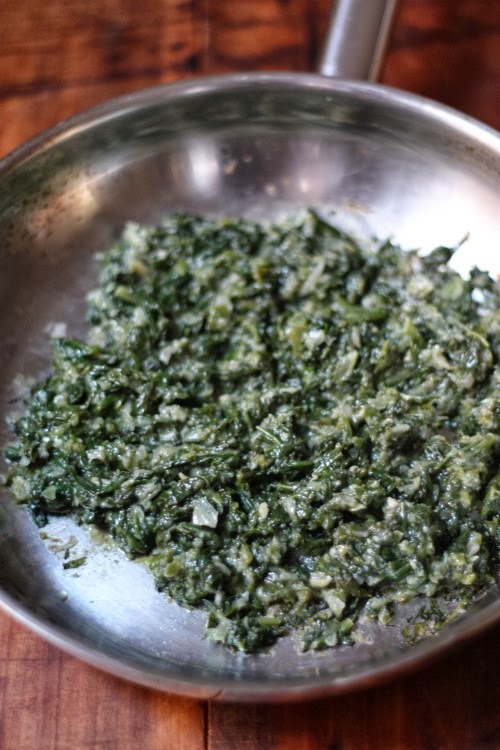 With your hands, remove the greens/spinach mix from the water and squeeze as much of the excess water out. Place the greens in the food processor and pulse several times incorporating everything together, keeping a rough chop once combined. Heat olive oil in a pan and add the greens, stirring to heat. Once heated add the tomato sauce and season with plenty of salt. 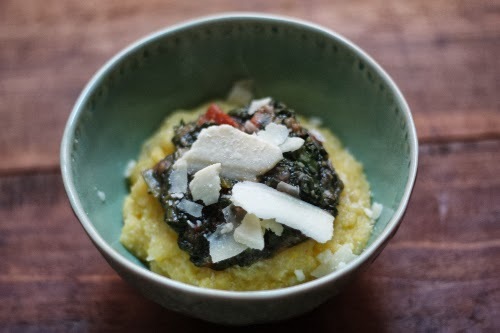 Place prepared polenta in a bowl and add the greens mixture. Top with fresh grated parmesan and enjoy! 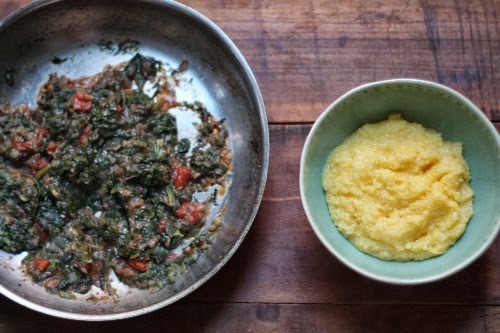 The greens alone make for a delicious side, paired with the grits you've got a warming lunch or dinner and you could even toss an egg in here for a quick filling breakfast. 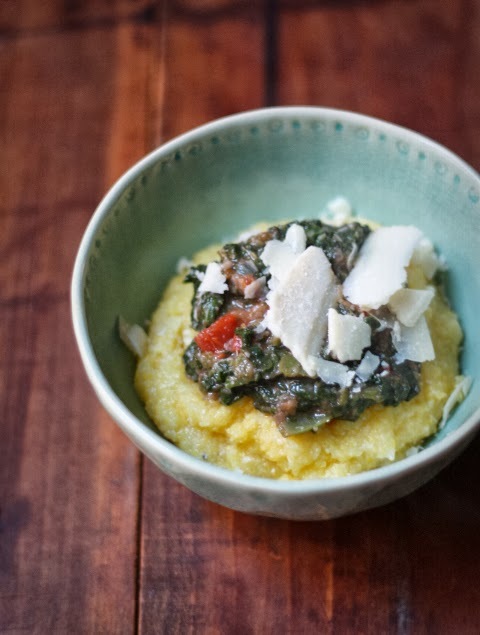 Need another idea for mustard greens? Try this pickling recipe!